One of my usual stops whenever I'm back in NYC, is Katz's Deli. 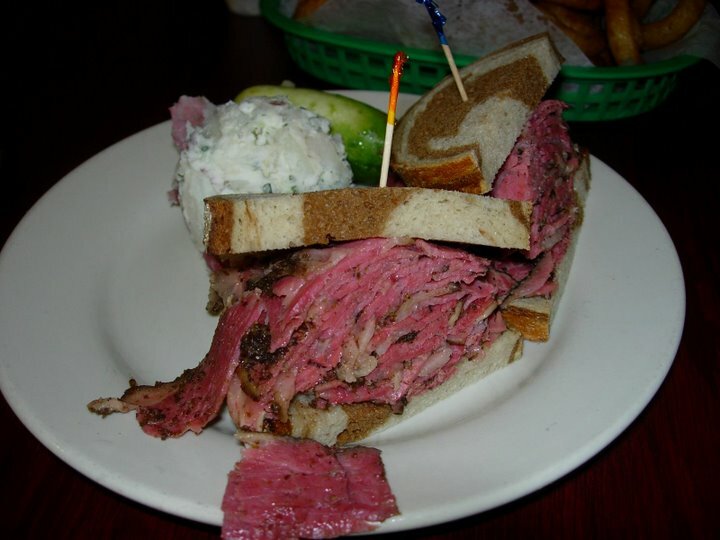 I like the atmosphere and the pastrami is great. I used to frequent Second Ave Deli because it was closer to me and was more of a sit down place. Times have changed, there are modern lofts right near Katz's and Second Ave Deli is gone. It was nice to have an early dinner at Miller's East Coast Deli because it gave me a chance to remember those places. The menu is authentic, monte cristos, pastrami on rye, brisket, matzo ball soup, knishes, they even have Dr. Brown's Black Cherry. The pastrami was served with the pastrami stacked high, potato salad and a good crunchy pickle. The rye was right and the pastrami was o.k. I little too thinly cut for my taste. That's the beauty of Katz, you can tell the guys to cut it thick and they always give you a sample while you wait. Miller's pastrami was well seasoned if a bit on the salty side, but generally the right flavor. 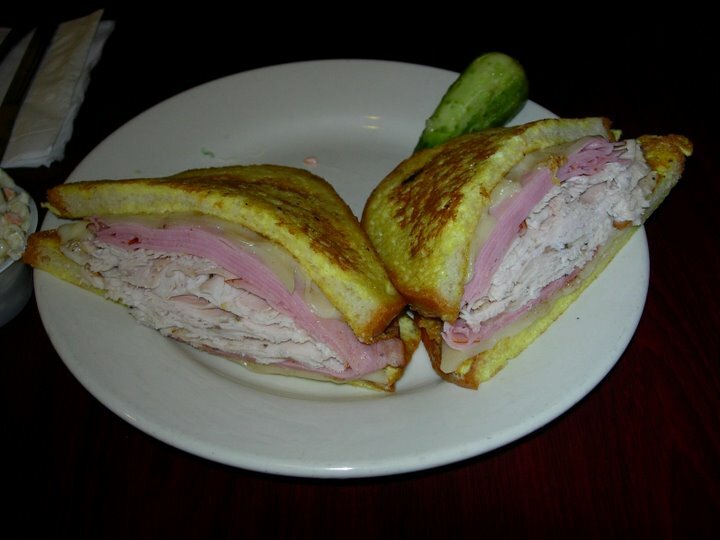 My friend had the Monte Cristo and loved it. Egg battered bread with the traditional fillings. 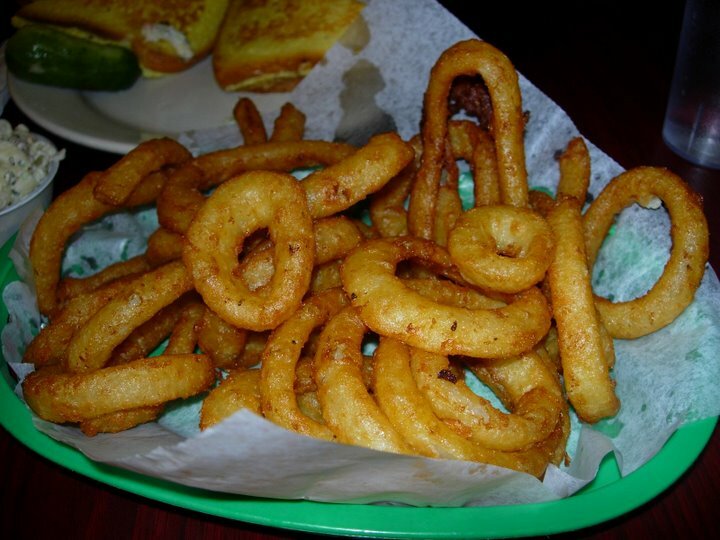 We also had a good basket of onion rings which I would order again. I'd come back, if only to have some onion rings and a pickle (and maybe I'd try the brisket). The food is fine. The main thing that is missing is the neighborhood feel. The staff at my old NY delis were these gruff and sometimes surly guys until you got to know them. Once familiar they became friendly but still had the rough butcher guy attitude. The service at Miller's was efficient, but lacked the gritty character of the old timers in NY. Our server was a youthful clean cut disaffected type that didn't say much and probably rode his bike to work. I guess that's the San Francisco touch. Thanks! I haven't been in the City since last summer. I will have to check out the new Second Ave Deli on my next trip.